Prominent & Leading Manufacturer from Mumbai, we offer Brick Finish Wall Tile Mould, Big Champheur PVC Wall Tile Moulds, 3 Strip Wall Tile Mould, Wall Tile Mould, Designer Wall Tile Mould and Wall Cladding Moulds. Our company is well known in the market for offering a wide gamut of Wall Cladding Moulds. This wall tile mould is made available in numerous patterns, sizes and other related specifications to choose from as per the requirement of the clients. Offered wall tile mould is installed in homes, hotels, malls and many more places. To meet the exact need of the clients, we make available this wall tile mould at feasible prices. With the backing of our experts, we can display quality guaranteed PVC Wall Tile Moulds. These extraordinarily outlined tile molds are most appropriate for asphalts and outside deck at open places and building edifices. We are one of the prime entities, engaged in offering a wide collection of Wall Tile Mould. This wall tile has outstanding patterns, thus installed in various places such as hotels, offices, apartments and many more. Offered wall tile has all indispensable features, highly demanded in the market. Apart from this, our clients can purchase this wall tile from us at reasonable prices. With the support of our professionals, we are able to present quality assured Designer Wall Tile Mould. 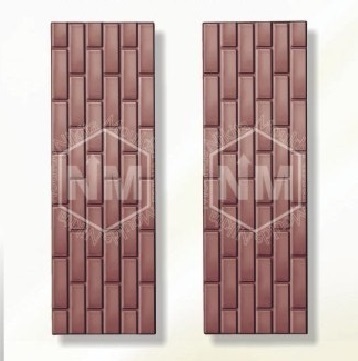 Offered wall tile mould is available in sync with the set quality norms. Available in varied patterns and other allied specifications, this wall tile mould is suitable to be installed in numerous commercial as well as residential buildings. Provided wall tile mould is checked sternly by our quality managers, before its final dispatch.